Its the day after a stunning success for Secret Asset at Sandown last night and I am feeling very happy. At 11 years of age he looked as strong and good as ever. 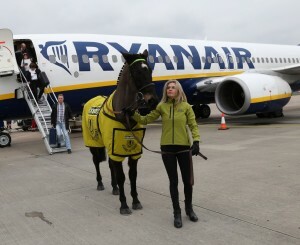 He travelled superbly on the quicker ground and then accelerated like the good horse we all know he is. I don’t know how much longer, at this age, he can run to that level and I am sure the handicapper will make life more difficult because of the manner of his victory but while he is happy and thriving we will let him run and do what he really enjoys. I know all of our horses have now settled well at Kelsall Hill and I can see them all improving for this wonderful set up. Now we just need a few more here to really make the place sing. 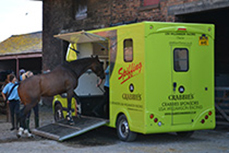 So if you are reading this and have a horse or know someone who does why not give us a try. We really can get them to thrive and win. 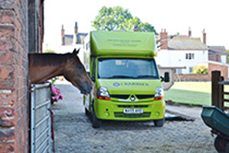 We have moved – yes, I am proud to announce that we have moved our entire training operation to the wonderful facilities at Kelsall Hill. It really is something special. Firstly we have brand new American style barns for all our horses, which makes life so much better for them all. 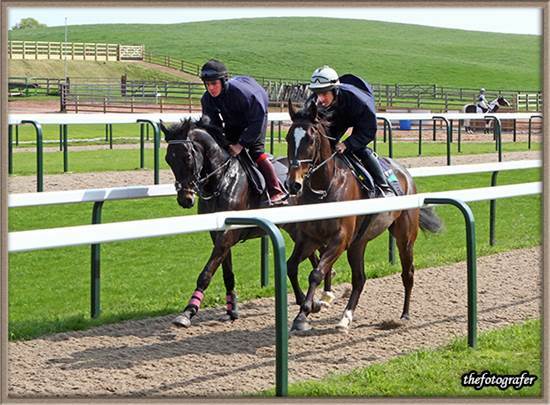 We also have one 5 furlong uphill polytrack and two 5 furlong uphill grass gallops which are just wonderful. We then have another 6 miles of hacking tracks across the huge expanse of Kelsall Hill. 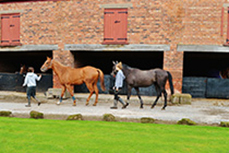 Delamere Forest borders our land, allowing us to freshen up horses, we have acre after acre of fences, flights, logs, doubles and trebles for schooling any jumpers, 2, Olympic size menages and the icing on the cake 23 different grass turn our areas for our horses to enjoy. 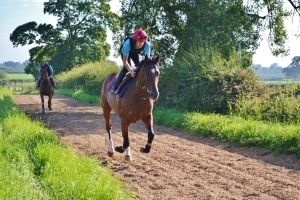 Kelsall Hill is something very special and I would welcome anyone who is thinking of moving a horse to come and see just how good these new facilities are. We are all very excited about it and I know this will see our results just get better and better. Secret Asset’s 2nd last week was another strong performance and even at his advancing age he is still running consistently and enjoying his work. He seems very happy and still capable of winning. Seraphima ran ok to be beaten 4 lengths and whilst a win doesnt look obvious she seems to be trying. It might fall right for her very soon. Garde Ville has been off the track for a long time and he will come on loads for his two runs. His future is as a chaser and I think we might have a go at a Novice handicap chase next time. He has taken these two races well after a leg injury and its just great to have him back sound. I do think he can win over fences he is such a lovely big horse. Bertie is such a star. He just seems to keep battling and whilst 5f at Lingfield is sharp I really think if George Baker had the confidence to go a bit harder at the start the other day he would have nicked that race. We might look to Ireland and see if we can find something on the AW there for him. He just looks magnificent at the moment and seems to know he is a star these days. This week we run Matilda Gleam and are hopeful her head is in the right place now. She definitely has ability and her race at Chelmsford should be within her scope. We just need her to calm down at the races. We are all very excited about Bertie’s Sister who is coming along really well and looks a chip off the old block. She could be very useful. I will put a picture of her up. She still needs a name so feel free to email any suggestions for her. What a good run by Your Gifted to get us off to a winning start this year, she really has been terrific. To think what she went through and how she has recovered. It really has been pleasing. Last week or so we haven’t had many runners but the run of Secret Asset today was pleasing. He is now 11 years of age and really seems to be enjoying life and whilst its doubtful he can go quicker now I did think the speed he showed from the gate meant that had he been a bit closer he may well have nicked it as he was gaining at the end. Really pleasing effort by a very happy horse. Rat Catcher, Serpahima and Go Charlie are all entered to run at Wolverhampton on Monday and they might all have to go to catch our former inmate Quantum Dot who Ed De Giles seems to have found the key to for our owner Chris Fleet – will he get another un contested lead? If so he could defeat our guys again – he may not though? I do have some very exciting news to share next week about some new inmates who really will give us something to work with on Saturdays!!! and I will update here very soon. For now we will take our chances next week with horses who are running well and just need things to drop right. Happy new Year to all our owners, friends and followers and may your punting go well in 2016. Well, that’t it then, another year finishes and all the counters go back to zero. We didnt have quite as far to go back as Mark Johnstons 260 winners in 2016 but we have quite a bit to aim at to beat 2015 and we will need all our horses firing. We also haven’t got the 100, 2 year old’s to run that he has either, oh how exciting that must be. I would settle for 5 of his less fancied ones!!!. However we start this week with a few runners and after disappointing runs from both Your Gifted and Seraphima last time out, where they didn’t help themselves, we send them back to Wolverhampton this week. They both go in the same race and if we can get them both to break on terms and then hold their track position then they both have a real chance. On that note, for those of you betting on the All Weather there has never been a season where track position has been so important and the experienced jocks are having it off against the younger ones with their command of being in the right place during races. 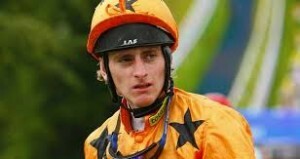 If you want to see a master class watch Adam Kirby on Cape of Glory at Chelmsford on Sunday. Not once but twice he had to ride this horse to keep it in the right place during the race, such was his awareness of where he needed to be at all times from the break through to the finish. He rode to keep his handy position from the start when it looked like he might be forced back and then with 5f to go he made sure that nothing crossed in front of him and forced him back before he attacked on the bend. 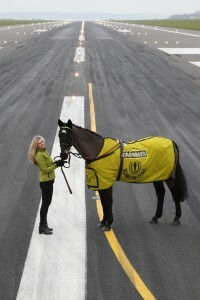 He then of course delivered it perfectly and because it was the best horse in the race it won. It may not have won though if he hadn’t have kept his track position and he could have been an unlucky loser. Too often that comment applies on the all weather. Go Charlie and Rat Catcher will probably head down to Lingfield later in the week and they must go well on this speed based track. We also race Matilda Gleam on Friday at Wolverhampton and I keep thinking she has more to offer, so good is her work at home. Fingers crossed. So we start again with confidence and we will keep working hard and turning out healthy horses who will be doing their best for their owners. Come and join us if you are reading this and want to be involved in racing. We all have a good time and we don’t do too badly either. “Closing out the year with our best year for quite some time makes it a particularly pleasing time. Our horses have been running very well and the double we had on the 18th December was amongst the most pleasing racing days I can remember. 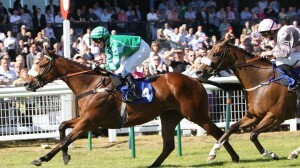 If not the best since Ryans Style won during the May Festival at Chester. So with our last days racing before the year finishes we go mob handed to Wolverhampton and I am hopeful that the race pans out well for both Go Charlie and Your Gifted. Go Charlie was very brave when he won last time out and I couldn’t be more pleased for my Assistant Trainer Hazel Roberts, who owns him. She deserves winners and whilst he has been slowly away in his races he almost broke on terms last time and of course bravely squeezed up the rail to win. He could now really kick on again but I think this is a harder race. 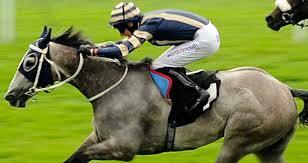 Your Gifted is certainly capable of winning again and she will no doubt need a strong pace to run at. I think this is more her grade and she seems to be as good as ever at home. I am hopeful they both run a big race and that we can move our winners on again in the 4.10 today. Chester Deelyte has a race in her and Shirley Teasdale gets on well with her. She might surprise a few in this 4.40 race as she seems to be in a lot better spirits than recently. Perhaps it is too ambitious to think anymore than place claims for her but she tries hard in her races and that is all you can ask. I am very keen on Seraphimas chance today. I thought her 5th last time out was her best run for ages. She has won over 6f here and if her head is in the right place she is more than capable of a big run in this race today. 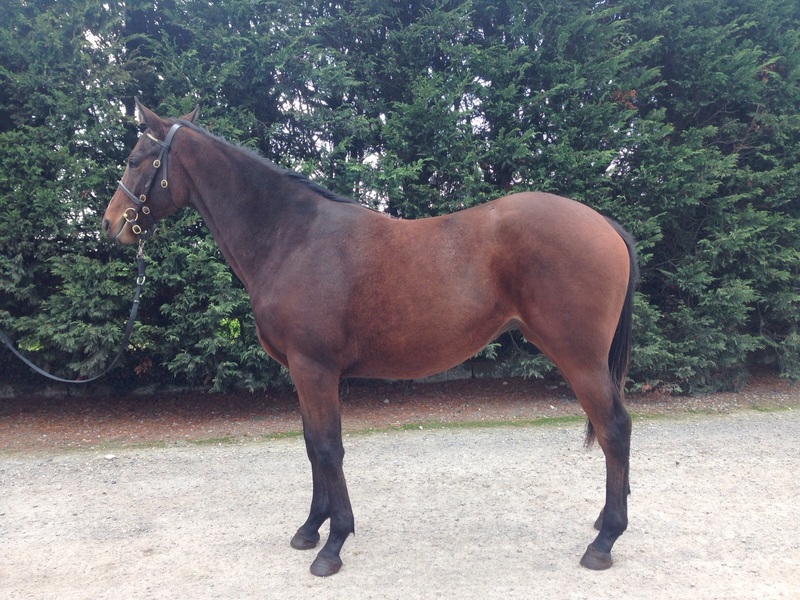 My special thanks to Heath House Racing, her owners, who are patient with her and can see potential. I hope she rewards that confidence today. Harps of Bretagne will have a hurdling career ahead of him and I hope today he shows some sparkle for his owner and dear friend John Levenson. He looks magnificent (the horse not John) and whilst ultimately he will ply his trade over much further over sticks today will give us an idea if he has strengthened up as much as he looks to have. So we go to our last days racing for 2015 happy and hopeful and I would like to finish my piece by saying a huge thanks to my stable staff who work so hard, day in day out to keep happy, fit horses. I think people can now see that with our limited ammunition we can fire in winners with the best of them and that really is down to having such a fabulous team working with me. 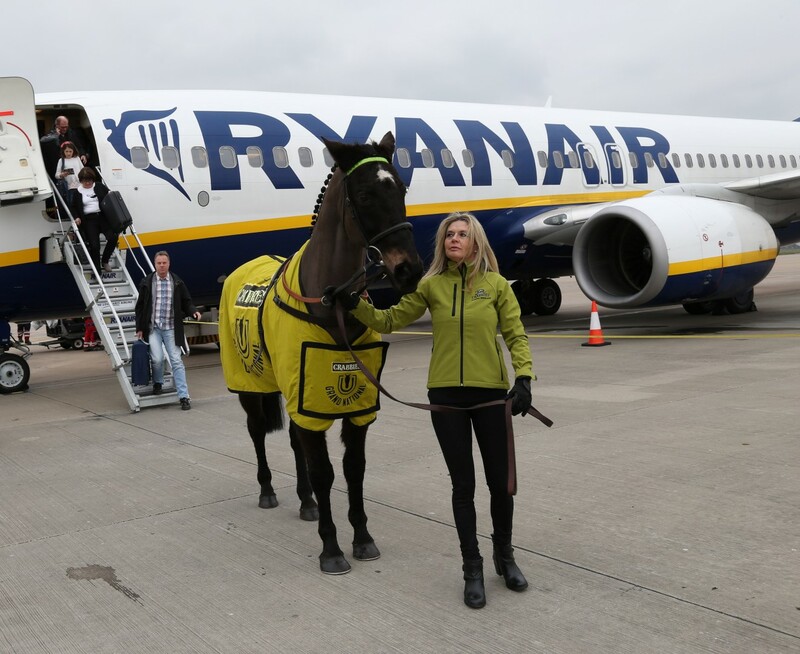 I would love more horses in 2016 so if you are reading this and thinking about moving a horse or sending me an un-raced two year old I would say – just give us a chance. We cant make a 90 rated horse out of a 60 rated one but we can certainly get them all to win in their grade and improve more than the odd cast off. 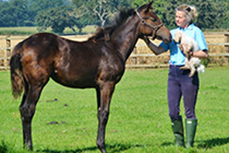 We can also buy good value horses and with a small budget give someone a lot of fun. With a bigger budget you can have even more fun!!!! As we head to the last month of the year we are working hard to find more winners and put in our best performance for a while. Oh how I would like to turn some of those seconds in to wins, however it is an indication of how well our horses are running that even at very low levels these horses are very competitive. 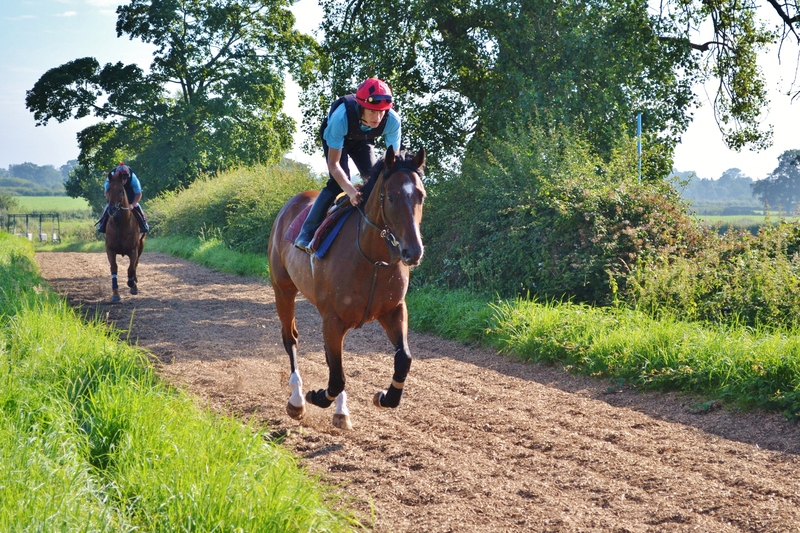 Almost 40% of our horses this year have won or been placed in the first 4. I think that is a good performance. However we desperately need a couple more winners and maybe that could happen in the next two weeks. I was thrilled with the performance of Tamarin the other night over 6 furlongs and whilst she ran over 7f on the weekend to give her owners a night out, I think we can see that sprinting is going to be her game. We will give her a little rest after her exertions and then get back to 6 where success may not be that far away. 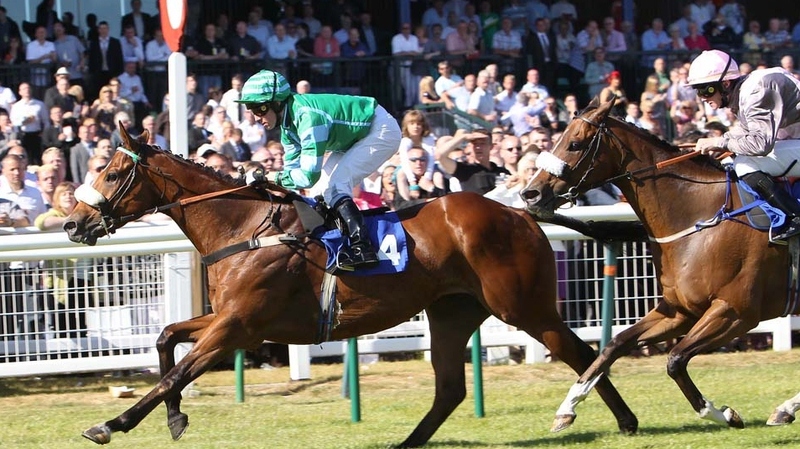 This week we look to run Your Gifted on Monday at Wolverhampton and after her last time out victory we are hopeful she has her confidence and swagger back and just might be too good for this lot. She is really well and looking for a fight. She has an improving 3yo to beat and a lurker of Mick Easterbys. We are hopeful. Both Rat Catcher and Go Charlie really do deserve to get their respective heads in front but there is no charity in racing and they both needs things to drop right to win. That could happen this week but whatever they will both try hard and are really fit and well and that’s all we as trainers can ask for. I am keen to get Matilda Gleam out on the track and whilst she may need another run after having her sore shins sorted she was promising on her last run and her owners patience may well be rewarded in the new year. Secret Asset was disappointing on his last two runs after his victory and it could be this isn’t his time of year. We will try again and see if it was just a blip or if at 10 he just needs a holiday for a week or two. Not a bad week last week. Firstly we couldn’t have been happier with Secret Asset winning at Chelmsford. True, he is not as young as he used to be but right now his enthusiasm for the game seems as strong as ever and he really seems a very happy horse at the moment. I cant see why he wont be able to defy his new mark now that he has got his head in front again and whilst there isn’t much the handicapper doesn’t know about him while he is enjoying racing he just might have another couple of wins in the right races. Obviously our other winner Your Gifted was also a great joy. I was with her the night she foaled and it wasn’t pleasant. She had a really tough time and it was because of the damage caused in foaling to her that we decided not to put her in foal again. We nursed her back to health and she now looks as big and strong and powerful as ever. She has finally got her head sorted and at Wolverhampton looked like she really wanted it again. She will also struggle to get back to her old mark now that she is 8 years of age but if she gets a buzz out of winning again she could be a handful at this level. It was another fine run from Go Charlie to finish second and his time will come shortly. I was also pleased with Rat Catcher’s run and whilst only second again surely we can catch one right for him in this grade as well. I guess the best thing is that with a limited arsenal our horses are all running well in their grade. Bertie Blu Boys sister – What shall we call her? Bertie Blu Boy – Number 2, How about Bertie Blu Girl? Now what about this. 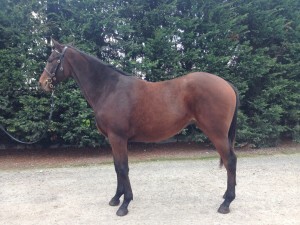 Bertie Blu Boy has a sister, and she is going to run as a 2 year old. She looks every bit the size, shape and scope of Bert and we just couldnt be more excited. 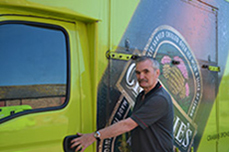 How would you like to be involved with Bertie’s sister. She is by Mullionmileanhour who is getting winners at the moment, most of them over sprint distances and she could be a lot of fun. If you are interested in getting involved for the 2016 season then get in touch with me now. Racing isn’t just a great game, it’s our passion. 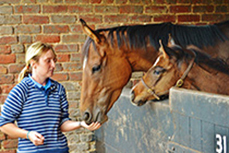 For the last ten years Lisa Williamson has built up a team who share her vision of horses and horse racing. That vision – it’s simple. 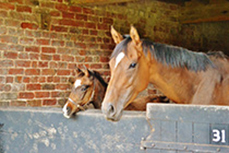 Prepare horses from birth in the best possible surroundings and give them a quality education so that they can each fulfil their potential. Every horse is different. 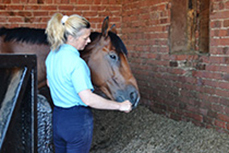 Both their physical and mental make-up vary and at our stable we have the ability and time to understand both of those needs. 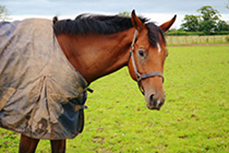 It is for this reason we believe we can get the very best out of all the horses in our care. The thrill of racing is something enjoyed not just by owners but also by the horse and we love seeing the joy of both on race days. It’s what makes it all worthwhile for Lisa and her team and we would love you to join us here at Saighton and experience this very special relationship and really enjoy the wonderful sport of Horseracing.